Super adjustments can be setup to repeat indefinitely or to expire after a specific date or amount has been paid. Super adjustments only affect the Super Guarantee Contribution amount. 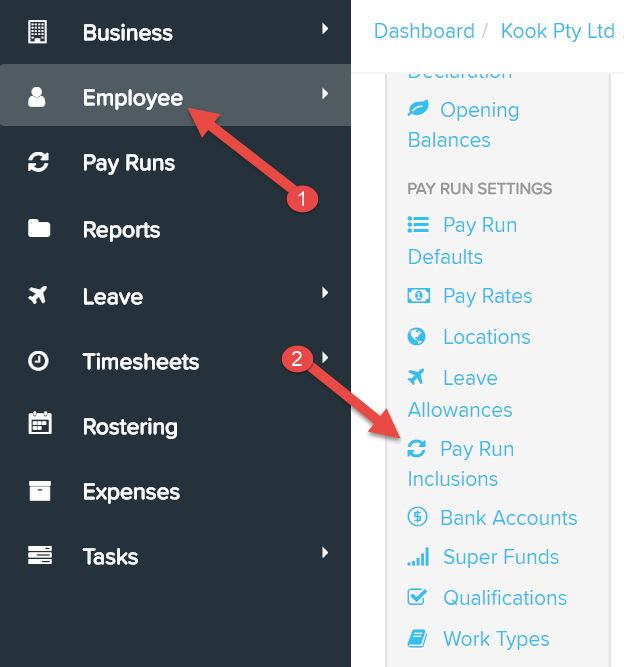 To adjust an employees superannuation you need to open the employee file and then click on "Pay Run Inclusions" on the left hand menu. 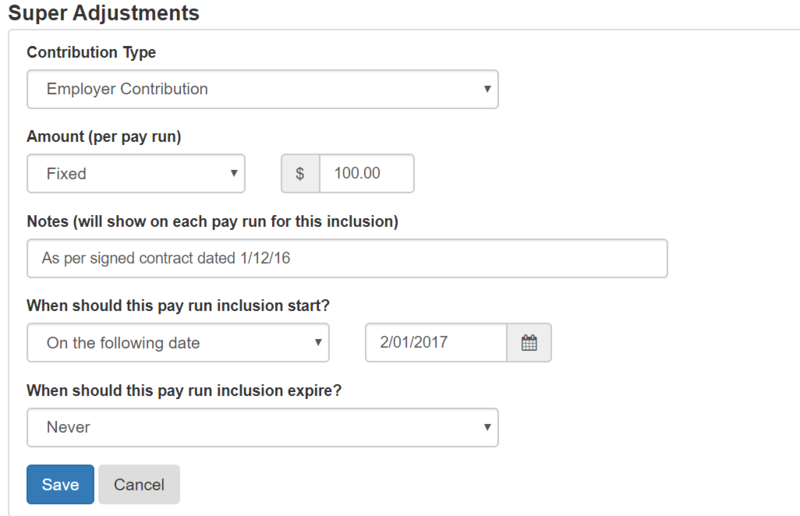 If you wish to edit a recurring super adjustment after it has been created, click on the name in the list of super adjustments that have been assigned to this employee. You'll be able to edit any of the properties of that adjustment (apart from the contribution type category). To delete a super adjustment, click the red cross on the far right hand side of its entry. For more information on Pay Run Inclusions, refer here.